American Crew is a young, progressive company, a leader in men’s fashion and grooming. With a passionate commitment to the men’s market, the purpose is to bring men into salons, provide them with a great experience in cutting and styling, and sell them products that affirm grooming excellence. 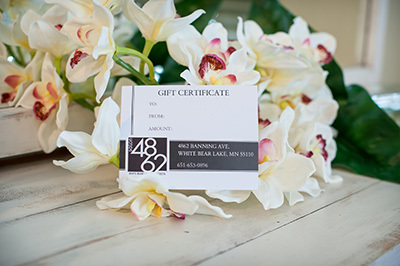 Being the frontrunner in the complete men’s grooming category, they set themselves apart from the competition. 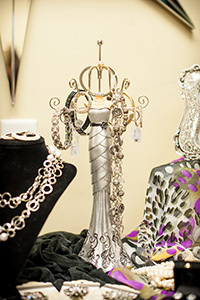 From concept to completion, the products, education and marketing are continually on the cutting edge. American Crew captures a new attitude with age-old grooming techniques. A classic inspiration with a new, modern attitude. Inspired by Nature. Intensified by Biolage. Biolage synergizes the legendary powers of botanical extracts with advanced technology for the best of both worlds-nature and science. 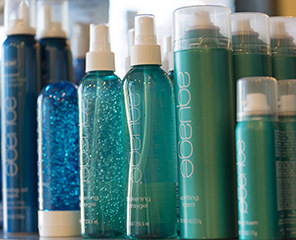 Precious essences and oils neutralize hair as a refreshing fragrance uplifts the spirit. 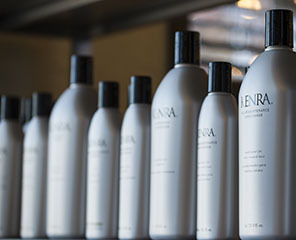 Kenra manufactures a complete line of hair care products designed to work in systems for optimum results. Choose from the Volumizing, Moisturizing and Color Maintenance systems depending on hair texture and condition. Kenra’s styling products complement these systems to help make your hair look and feel at its best. Aquage haircare and styling innovations bring you the best of sea and science, combining the highest quality, professional grade ingredients with today’s most advanced haircare technology. The healing benefits of our exclusive Algaeplex sea botanicals in each Aquage product nurture, hydrate, strengthen and protect your hair beautifully.